iCloud is an application on iPads and iPhones that allows its users to store and share data online, like music or pictures, for example. When you use this site, you can access any data you have stored in iCloud through your computer by signing into iCloud.com on your web browser. You can use a Windows or Mac computer; it just needs to be a desktop web browser. This happens because Apple doesn’t want you to access the site from your iOS device when you can easily sign into your iCloud account already. You can sign in by going to your Settings then selecting iCloud. You toggle the button from “Off” to “On” to begin using iCloud. 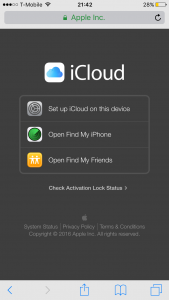 Then you can easily turn off and on the different features and services iCloud offers. You should also be using the latest version of iOS or Mac OS when using iCloud to make sure it works properly. This is pretty simple to do on both your mobile devices and your computer. You can also use two-step verification for additional security, where you follow the onscreen instructions then enter a code sent to a trusted device. 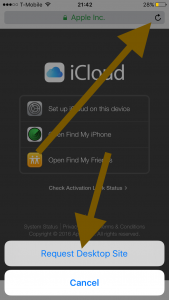 There are two places you can access iCloud: through your iCloud app and through the iCloud website. 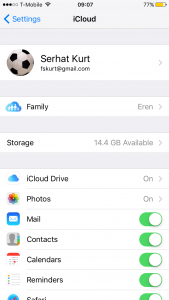 However, you can also check the data and storage available by going to Settings, then iCloud. It is an easy way to toggle which apps will save into iCloud and manage your files. Keep in mind files are automatically removed from Restore Files 30 days after they have been deleted. You automatically start off with 5GB of storage on your iCloud once you set it up. You can use the storage for any of your apps or files, like your photos. If you ever need more storage, you can buy more from your Apple device. This starts with 50GB at USD$0.99 a month. That’s all the information I have on iCloud for you today. Hopefully this will be enough information to carry you through your use of iCloud. If not, the Apple support website is always an option to look at! If you need an helping hand in fixing your phone, I will recommend hackerstone35 at gmail dot com for more help,….